Folks who attended the retirement celebration for David Lawrence heard the phrase “What Would David Say?” from Michael Crowell’s presentation about the impact of his career. The phrase refers to how David has become the definitive resource on questions involving local government law—from the NC Supreme Court to front-line city and county employees. 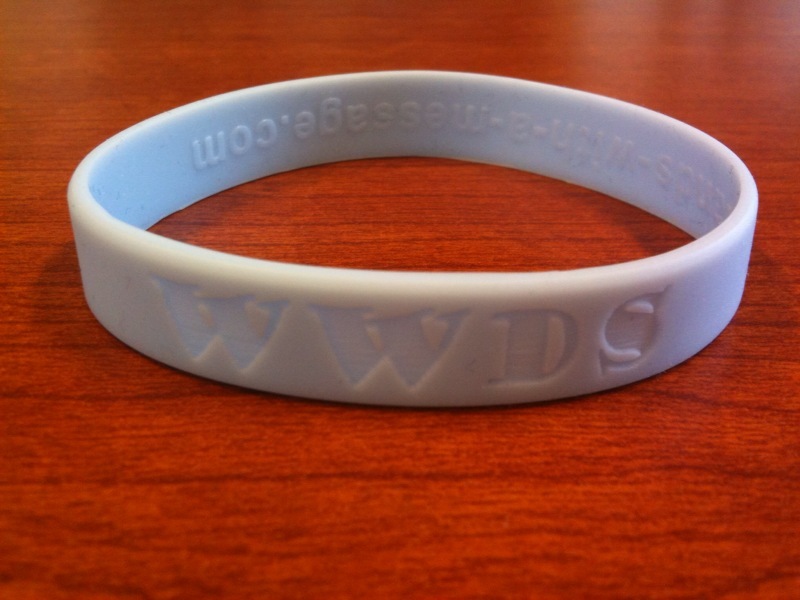 Everyone had the opportunity to get a blue wristband with the initials WWDS as a guide for answering thorny questions after David’s retirement. I’m pretty sure that some of our colleagues have one for each wrist. Now we just need another wristband with all of the answers. Congratulations to Chuck for receiving such a high compliment from Judith, which is well deserved. I said at the celebration that we have never had a better faculty member than David. Judith’s email is a useful reminder, however. All of our faculty members are considered the definitive word for North Carolina officials in their respective fields. Chuck definitely is viewed by registers of deeds as the ultimate source for reliable information, and that reputation extends beyond registers to others who want to know about their work and property law . It is the case across-the-board for our faculty, and that it why we have such a good reputation in North Carolina and beyond. The truth is that we need wristbands with lots of different initials. David made a nice point at the celebration about how excellent work by previous faculty members gave him immediate credibility with officials early in his career—at a time when he didn’t really know much. It made it easier to do his work, and I’m sure that it motivated him to uphold the same high standards. David expressed the hope that his work has laid a good foundation for his colleagues and for those who follow him. He definitely has done a great job of leading the way, and everyone else at the School is doing the same thing—continuing our good reputation through excellent work and providing a path for others to follow. The same is true for our staff. David thanked his program managers (called different things, including alcove secretaries, over the course of his career) for making his work possible. Our professional staff members play a critically important role in creating the foundation for all of our work. Wristbands for everyone! Everyone here at the S.O.G. plays an integral role in achieving our mission. It is nice to work in a professional environment in which our goals can be achieved with hard work from everyone.